Instagram continues to be a runaway success. After launching in 2010 it now has a billion monthly active users. Its Snapchat clone, Instagram Stories has 500 million daily active users. That’s more than Snapchat’s entire user base. It is a hit among millennials with 18-24 year olds being the app’s number one demographic followed by 25-34 year olds. Those age groups represent 31% and 30% of Instagram’s user base respectively. Instagram’s popularity is driven by the simplicity of the app. Unlike Facebook (which owns Instagram) Instagram does not have a lot of features. In the early years of the app, Kevin Systrom, CEO and co- Founder of Instagram decided to strip down the app to its core features. Kevin realized that the initial version of the app was too complicated. It had too many features. After analyzing user data he discovered that the primary reason people used the app was for the photo taking and sharing functions. Armed with this data he decided to pour the company’s efforts into creating an app that made photo sharing simple. That’s why even today the primary features of Instagram are the photo, liking and commenting features. In recent years videos have also become an important part of the platform. The lesson learned is that focusing on your strengths is a powerful path to growth. With 80% of users connecting with a business on Instagram, which brands have figured out how to achieve success? Chanel is a brand that others should try to emulate. Chanel is the most followed luxury brand on Instagram. On February 21, 2018 Chanel launched a user generated Instagram page called @welovecoco. @welovecoco features videos and photos with the hashtag #welovecoco. The account gives profile to makeup artists, stylists, beauty bloggers and everyday people who love Chanel. The feed is only focused on beauty and does not include fashion. The account is curated meaning Chanel maintains control of what is posted. It is the first time Chanel has had an Instagram account exclusively devoted to user generated content. It is a great way for Chanel to create and celebrate a community of loyal fans. The best aspect of this initiative is that Chanel is creating a platform for its best customers. What a great way to elevate the people that make Chanel successful. In the process those people become more loyal to Chanel. It is a win-win situation for everyone. 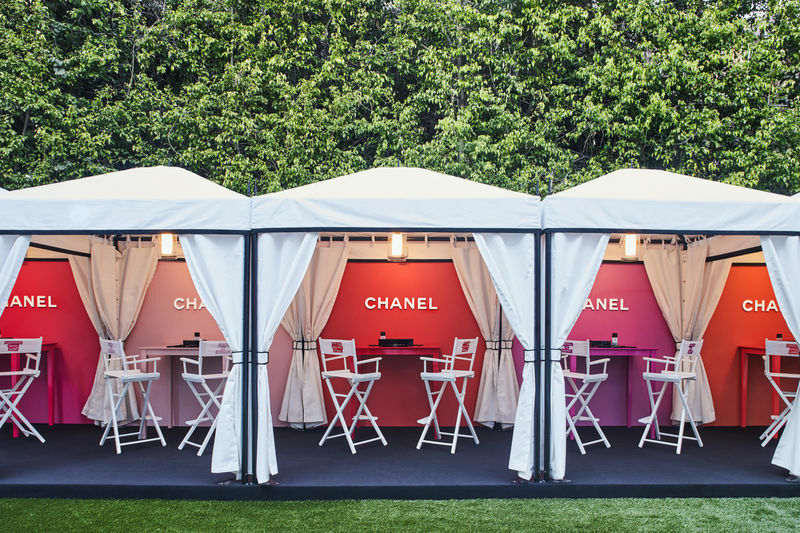 To launch the new Instagram account Chanel opened a pop-up store called Beauty House. Open for four days on Sunset Blvd. in LA the Beauty House pop up featured digital mirrors where customers could try on makeup virtually. Customers were also able to get their make-up done and buy Chanel beauty products. The launch party was attended by many celebrities including Kirsten Stewart, Cindy Crawford and Ava Phillippe. Only 7% of word of mouth happens online so the best brands know that it is critical to promote digital initiatives offline as well. Brown, Morgan and Sean Ellis. Hacking Growth. Crown Business, 2017. Berger, Jonah. Contagious: Why Things Catch On. Social Dynamics Group, 2013.